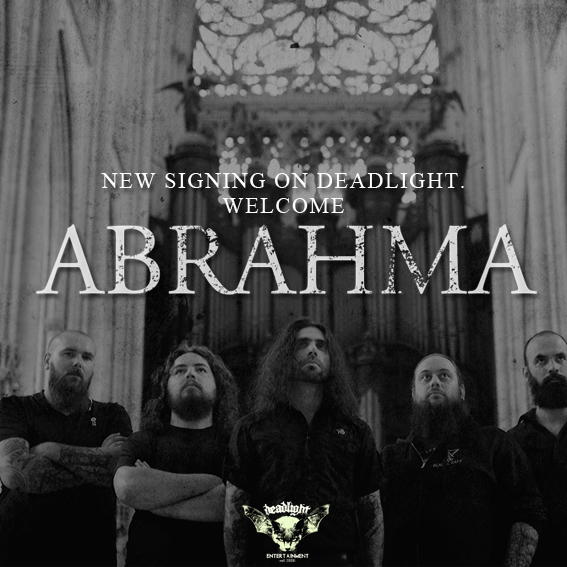 We are proud to welcome ABRAHMA to Deadlight! Coming from France, ABRAHMA has released two albums "Through the Dusty Path of our Lives" (2012) and "Reflections in the Bowels of a Bird" (2015)both released on american label Small Stone Records (ACID KING, WO FAT, LA CHINGA). ABRAHMA played more than 100 shows in European stages as well as in festivals likeRoadburn Festival, Desertfest London, FREAK VALLEY FESTIVAL etc and had their cover of EDWIN STARR's "War" featured the mobile video game "The Walking Dead: Road to Survival". Quote from the label "Once again, we are very proud to welcome a band we've been following and looking at for several years. I was convinced we'll work together some day when I first saw them on stage. When I crossed the path of Sebastien again some years later, we started talking of everything and nothing but the new album question quickly popped. His vision was honest: not another french guy who thinks he's a 70's satanic hippie or a redneck. His influences were directly from the 90's which were my fave decade, shaping our actual lives. I was very impatient to have this album submitted and the first seconds of the listening were convincing: I wanted to release the album as well as I wanted ABRAHMA on Deadlight." "In Time for the Last Rays of Light" was fully recorded at Orgone Studios (Milton Keynes - UK) by Jaime Gomez Arellano (Ghost, Paradise Lost,SÓLSTAFIR) and will be released during the spring of 2019.